TORONTO - North American stock markets recovered from deep losses amid falling oil prices and worries that the arrest of a senior executive at Chinese telecom equipment maker Huawei could derail progress in China-U.S. trade talks. 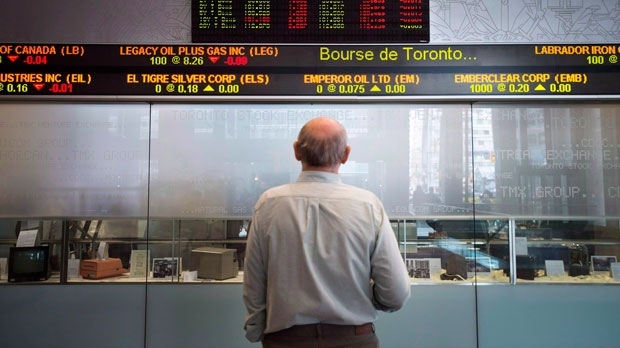 The S&P/TSX composite index closed down 1.6 per cent, losing 245.64 points to 14,937. In New York, the Dow Jones industrial average rebounded from a 780-point plunge to lose 79.40 points at 24,947.67. The S&P 500 index fell just 4.11 points at 2,695.95, while the Nasdaq composite gained 29.83 points to 7,188.26. The Canadian dollar traded at an average of 74.60 cents US compared with an average of 74.89 cents US on Wednesday. The January crude oil contract was down US$1.40 at US$51.49 per barrel and the January natural gas contract was down 14.2 cents at US$4.33 per mmBTU. The February gold contract was up US$1 at US$1,243.60 an ounce and the March copper contract was down 3.1 cents at US$2.74 a pound.